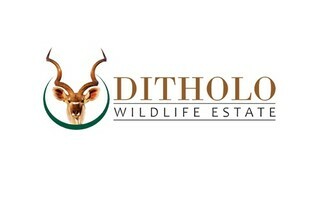 Sign-up and receive Property Email Alerts of Residential Estates in Ditholo Wildlife Estate, Thabazimbi. With a total estate area of one thousand hectares, Ditholo Wildlife Estate offers that rare modern commodity: an opportunity to escape your daily stresses. Located just two and a half hours from Johannesburg, this jewel of the Limpopo province provides the perfect opportunity to unwind and connect with Africa & its wildlife. Blessed with the incomparable Waterberg Mountains as its backdrop, this stretch of indigenous African bushveld has been carefully preserved, with the maintenance of a diverse array of fauna & flora held as a high priority by developers. Many established waterways are filled with fish and often welcome the Fish Eagle on its seasonal visit. All sixty residential stands enjoy either a waterfront or bushveld view; shared with families of hippos and over 250 bird species. Each stand is approximately one hectare in size; all of which make use of the communal picnic area, swimming pool, volleyball court and dams teaming with tilapia and bass. Residents are free to build their own freestanding homes and many choose to use bush golf carts for game viewing around the estate. Viewing the birth of a new-born buck will restore the spirit of home owners and guests to the privately situated exclusive lodge. With such an idyllic setting, its little wonder that many a conference and wedding has been held at Ditholo. And who can blame them, when the private game reserve is home to approximately one thousand two hundred animals from a multitude of species.